Sexual harassment allegations cost a longtime, high-ranking aide to House Speaker Michael Madigan his job. After 20 years, Kevin Quinn is “no longer an employee of any of my political committees” given “inappropriate conduct” and failure to “exercise the political judgment I expect of those affiliated with my political organizations and the Office of the Speaker,” Madigan announced in a statement Monday, a state holiday. Quinn is the brother of Ald. Marty Quinn (13th Ward) with whom Madigan shares a South Side office (and a website). “While this is the only allegation of such conduct, Mr. Quinn also recently pled guilty to misdemeanor disorderly conduct,” Madigan said. 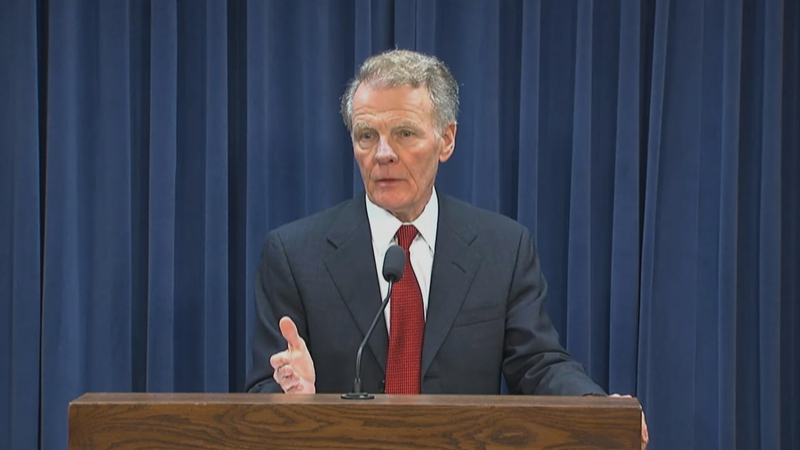 Madigan says at the time, he immediately consulted with his attorney, Heather Wier Vaught, who then conducted interviews and reviewed evidence, before concluding that Quinn’s conduct was inappropriate. Madigan says his political committees are taking steps to follow Wier Vaught’s recommendations on how to better prevent and respond to similar behavior in the future. Quinn’s firing comes after female lawmakers, lobbyists and others who work at the capitol say the statehouse culture is rife with sexual harassment. The Illinois House and Senate each formed task forces to study the issue. In January, Legislative Inspector General Julie Porter found that state Sen. Ira Silverstein did not engage in sexual harassment with Denise Rotheimer, a victims’ rights crusader advocating for legislation sponsored by Silverstein. However, Porter found that Silverstein, “did behave in a manner unbecoming of a legislator” in violation of the state ethics act. Silverstein is running for re-election, but faces primary challenges in Illinois’ 8th Senate District from Caroline McAteer-Fournier, Ram Villivalam and David Zulkey. He’s thus far the only elected state official publicly accused of sexual harassment. The accusation exposed the embarrassing reality, for which Madigan and other lawmakers have been blamed, that prior to Porter’s sudden appointment in November, the Illinois General Assembly had been without an ethics watchdog for three years. During that time, lawmakers appointed to the Legislative Ethics Commission say at least two dozen cases piled up. Oct. 30: Lawmakers who signed an open letter describing a culture of sexual harassment and misconduct in Springfield discuss the problem.